Edit: I’m going to be baking something delicious and generally fabulous for this bakesale! Any ideas for flavor combinations or wish-list items I could make? 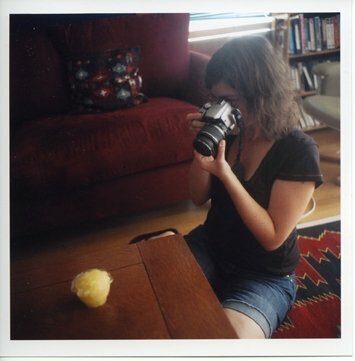 I don’t usually post about anything except baking and pictures of my baking…But this event is just too “up my alley” to not let you know about! 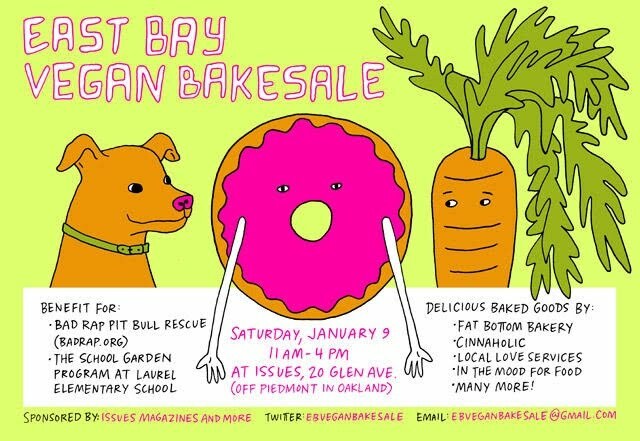 I just heard about this awesome Vegan Bakesale happening in Oakland this weekend! It supports a local school garden (at Laurel Elementary), and Bad Rap Pit Bull Rescue. I’m a huuuuge supporter of education and public schools (duh, I’m in a teaching credential/masters in education program! ), and I happen to know some great things about the Laurel School – and I know that the students there are made up of a very diverse, involved community that can certainly benefit from whatever resources it can get! I have a friend who was a Farm & Garden Teacher in a public school, so I have first-hand experience and knowledge about elementary school gardens and know how beneficial they can be to students’ everyday learning and personal growth. And, because I am so supportive of this Vegan Bakesale, I want to put out there in the Blog World that I have a Pit Bull rescue dog that I absolutely adore. As both a dog-friend and general animal-positive-person, I feel that it is important for nice people to adopt nice doggies (and not just puppies, and it’s great if you can take care of a kind of dog that usually gets controversial reviews and give it a nice friendly safe environment…and that way, we can give Pits a better name!). If you’re in the Bay Area, please come out and eat vegan treats and support environmental and healthy food education as well as all the animals! Kids and Dogs! Vegan Treats! What could be better? I’m going to see you there, right?